With over 30 years in the hire and rental industry, Event Rentals at 20 Shannon Place Virginia 4014 is one of Brisbane’s most experienced and respected names in event hire, party hire, function hire, corporate hire and wedding hire. We supply regularly supply clients in South East Qld and Northern NSW. These include areas to the North including Gympie, Sunshine Coast, Caboolture & Moreton Bay Region, South including Coffs Coast, Tweed, Gold Coast & Logan, West to Toowoomba, Warwick, Ipswich & the Scenic Rim and East to Redlands & Bayside Suburbs. Event Rentals offers a convenient delivery and pick up service (charges apply), available 7 days a week (additional surcharges may apply for weekend deliveries or pickups). Having a party on the weekend? We can deliver your equipment on Thursday or Friday and collect on either Monday or Tuesday for no extra hire charge. Impress your friends, work colleagues and family by hosting a party with all the bells and whistles at a budget price. Even when you need something we don’t have our staff can cross hire the item on your behalf or refer you to a reputable supplier. If you need Party Hire in Brisbane, Bayside, Logan, Moreton Region, Ipswich, Pine Rivers and Redcliffe and surrounding suburbs call us on 07 3352 5336! 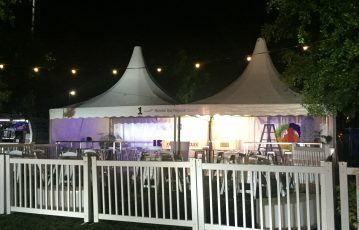 When looking to hire tables, chairs, marquees, catering equipment, glassware, crockery, cutlery, portable toilets and lots more, Event Rentals guarantees you the cleanest quality products, with the best service in Brisbane and surrounds. 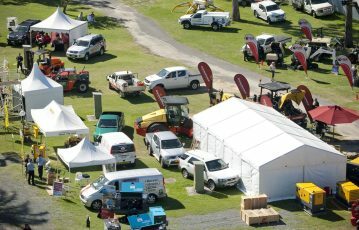 You might also need a Marquee, Lights, Cooking and Catering equipment such as a BBQ or Roasting Oven. Don’t forget the drinks & food need to be kept cold with an Ice Tub, Esky or Mobile Coldroom. We also have Portable Toilets for hire so you can keep guests off the carpet. Our Portable Loos even come on a trailer for you to conveniently tow to your home or local park. Sit down meals are a breeze with a full range of Cutlery, Crockery and Glassware so there’s no breaking your favourite plate or wine glass. Event Rentals (formerly known as City Party Hire) grew from a commitment by City Hire to develop a dedicated service for our range of party/event equipment. City Hire was already a major supplier of construction equipment but party/event products were originally only provided as a support service for corporate clients. 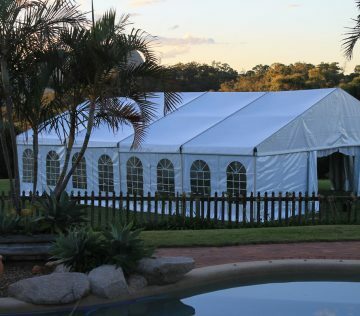 For many years now, Event Rentals has been a reliable and regular supplier for major events such as: Paniyiri, BCC Riverstage Concert Venue, The Caxton Street Seafood Festival and many others. We have uniquely been able to grow with our customers and their events establishing long term relationships whether it be an annual, bi-annual or a series of one off events. Event Rentals and Party Hire is located at 20 Shannon Place Virginia, 4014. We offer a prompt delivery service to Brisbane North, Brisbane South, Brisbane East and Brisbane West including Bayside, Logan, Ipswich, Redcliffe and Strathpine areas. We also travel further a field to Gold Coast, Sunshine Coast and Toowooomba as required for specific jobs. We also offer convenient access to our equipment from our City Hire locations at Moorooka, Brendale and Kelvin Grove. Click to head over to our contact form and we get back to you ASAP.